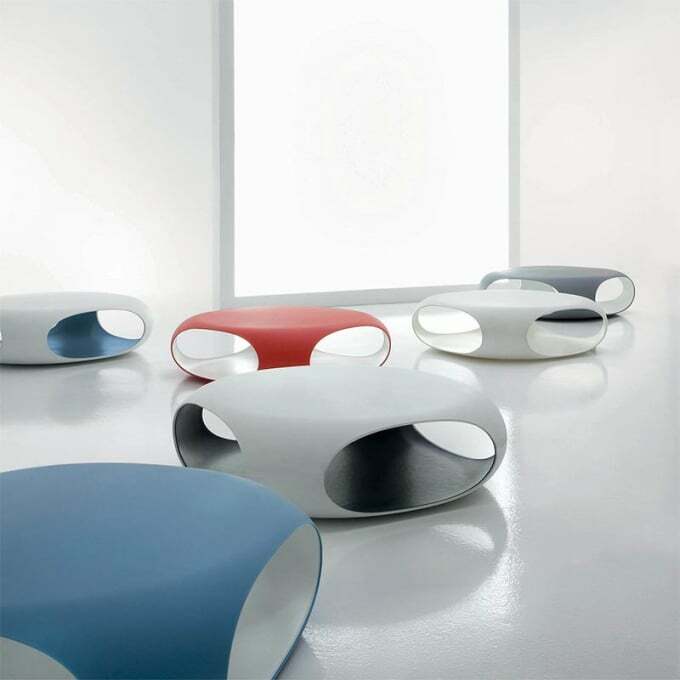 Modern, slightly futuristic side or coffee table with practical storage option. The opening in the occasional table structure not only hightlights its rounded lines but also has a practical function, because the body of the table can contain books, magazines or other objects in everyday use. Pebble is produced in plastic material using a rotational moulding technique. It is available in one and two colours with the inner and outer surfaces in different colours. suitable also for outdoor. Bonaldo products are created in Italy. Designed by the best designers, they are then made by our team of experts. A production process that has been perfected over time, keeping its original values intact: creativity, quality and innovation. An authentic Italian product. Truly. Do you have a question about "Pebble"? How can we contact you?